Adrian Larrea-Sarmiento started in Spring 2017 and graduated (MS) in December 2018. She worked on comparative genomics, molecular interactions and diagnostics. She was outstanding and generated data for 6 peer-reviewed publications (3 as senior author and other 3 as 2nd author). She won two awards. Spring 2018: Dr. Shefali Dobhal from India started as Junior Researcher. April 2017: Adriana Larrea won PEPS Best MS Poster Award in CTAHR Student Research Symposium 2017. The title of her Research Poster was "Core- and Pan-Genome Analyses of Xanthomonas campestris pv. campestris: Black Rot Pathogen of Crucifers"
Dr. Arif has accepted the invitation to serve American Phytopathological Society's Journal "Plant Health Progress" as a Senior Editor. His term begins in January 2018 and will last in December 2020. Plant Health Progress is a multidisciplinary journal covering all aspects of applied plant health management in agriculture and horticulture. 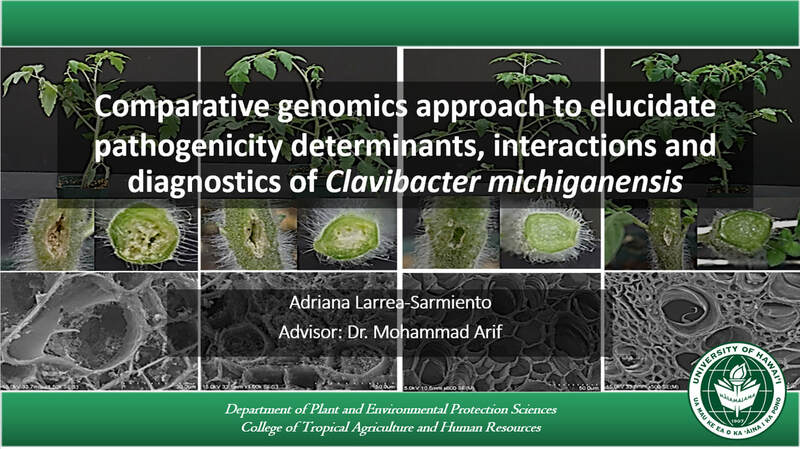 May 2017: ​Arif and Adriana participated in a one week long course of Plant Biosecurity in Theory and Practice at Biosecurity Research Institute, Kansas State University, Manhattan, Kansas. Arif was an invited speaker and delivered a talk on "The Select Agent Rathayibacter toxicus: High Consequence Bacteria of Biosecurity Concern". He was also an instructor for hands on training inside the containment facility. First student in our program! 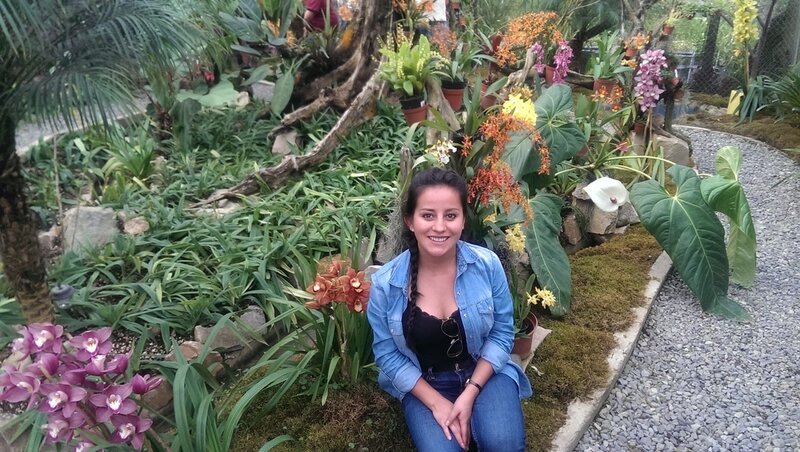 Spring 2017: Adriana Larrea from Ecuador started in January 2017 as a first student in our program. She will be working on Xanthomonas axonopodis and Clavibacter michiganensis subsp. michiganensis. ​Dr. Arif started working as Assistant Professor at the Department of Plant and Environmental Protection Sciences in October, 2016. He started his lab (St John 312) in February, 2017.